It’s been awhile since I have posted on the blog. I have actually been really sick for the past two weeks but I’m on the road to recovery (that’s why I’m writing this). I apologize for my absence and hopefully, June doesn’t disappoint. We are going to play catch up with the reviews of April and May, along with scheduled tour stops. The winner for the Lure of Shapinsay has been chosen so congratulations to Christine. I hope you enjoy the book and your swag. Let’s continue with great news. The Promo Post for The Bird with the Broken Wing was my 100 post. Out of 100 posts, my most popular post is Loving Hetalia: America with 4,668 views. It is not a book review but I love Hetalia and I’m so happy people are reading my Hetalia related article. My most popular review is All’s Fair in Vanities War by Elizabeth Marx with 70 views. Hmm, I’m starting to see a discrepancy here. I also finished one of my 2012 Challenges, First in a Series hosted by Kathy at A Few More Pages. YAY, to celebrate I’m going to host a giveaway for one of the books listed there. Be on the lookout for that towards the middle or end of June. It will be international as well. I think this is it for any news about what is going on with the blog. Monday News Flash is a weekly or bi-weekly (and I hope that means every two weeks) “flash” on what is to come on Persephone’s Winged Reviews. 1) Hetalia Weekly Pic. Yes, my obsession with Hetalia is still very high and I need an outlet to express my current affair with it. Three months ago, it would have been Death Note. Every week, I’ll change the picture and hopefully, everyone country has a spot on there. 2) I have all my button up and running so you can Friend me on Goodreads and Paperback Swap, Follow me on Twitter, and Find me on Amazon, Smashwords, and Barnes & Nobles. Still working on the strikethroughs. 3) Since I’m going to be reviewing manga, I decided to do some introductory posts about manga (and anime). What’s up for review in the next two weeks? We have Trouble Brewing by Edward Winslow, Hollowland by Amanda Hocking, Guy Langman by Josh Beck, Glass House by Rachel Caine and The Wedding Gift by Kathleen McKenna. (More may be added). Jamais Vu by Monique O’Connor. I was not expecting this book. I was trying to win in a giveaway hosted by Monique and I happened to mention what the title means which is “never seen.” It’s the opposite of deja vu and not many people know that. Next thing I know, Monique e-mailed me a PDF version of the book for knowing the what the title meant. I was so surprised and thrilled to have it. Can’t wait to read, thank you Monique O’Connor. Until then, let’s show some love to Spain. Does it not have the cutest name ever? I had to join. Plus, the image is really nice. Rules: Read a minumum of 12 legally obtained FREE e-books and must disclose where the book was obtained from. ARC/Galleys, library books, and books won do not count. Missie has a great selection of sites where we can legally obtained Free books. I’m going for Penny Pincher so 24 books. 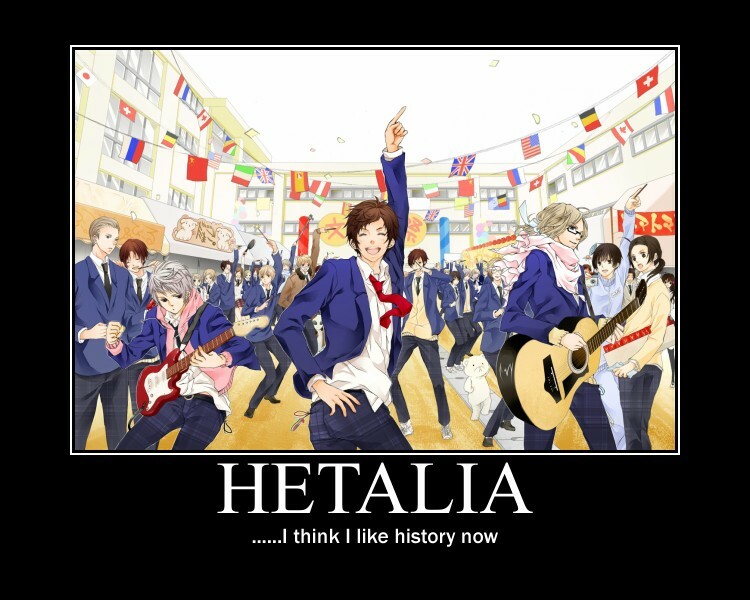 In the meantime, enjoy this picture of Hetalia. Update 1: I changed the background to a lighter color. The black background with green polka dots looked vastly different on my roommate’s computer than it did on my laptop. I found myself recoiling from my own site and I don’t know if it was the background or my glasses. I would love feedback on the change if you have the time. Update 3: I have a Twitter page now so if you would like to follow, I would love that. My name is PersephoneWR or you can click the little bird to your right. I also created a Goodreads page so feel free to add me as friend, Persephone. I’m in the process of creating an icon for it. Update 4. More reading challenges will be posted but not on the sidebar. I don’t want to slow down the loading process. The challenges will have progress bar without images and every month, I’ll alternate the progress bars with the images so other challenges are highlighted. I’m still aiming for 12 reading challenges. 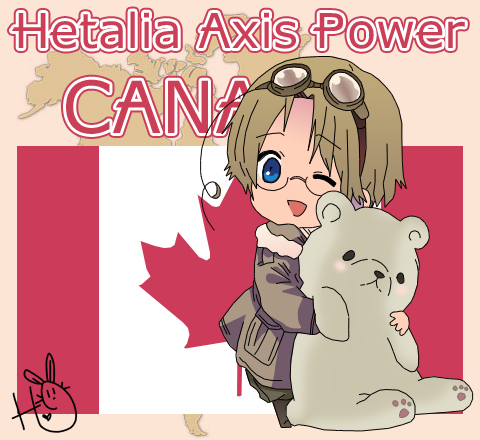 On that note, I will leave you with Canada who must not be forgotten (even though in Hetalia, we all do). I have a long trip home so plenty of time to get some reading done. Enjoy your week and the cold weather.